MB&F and URWERK aren’t strangers to Horologium, and the combination of their quirky and at often groundbreaking approach to timepieces last year courtesy of the C3H5N3O9 Nitroglycerine Experiment ZR102 was unexpected and generated a lot of buzz, but also paid testament to the extraordinary camaraderie that there is amongst many independent brands, for whom collaboration is not unknown. 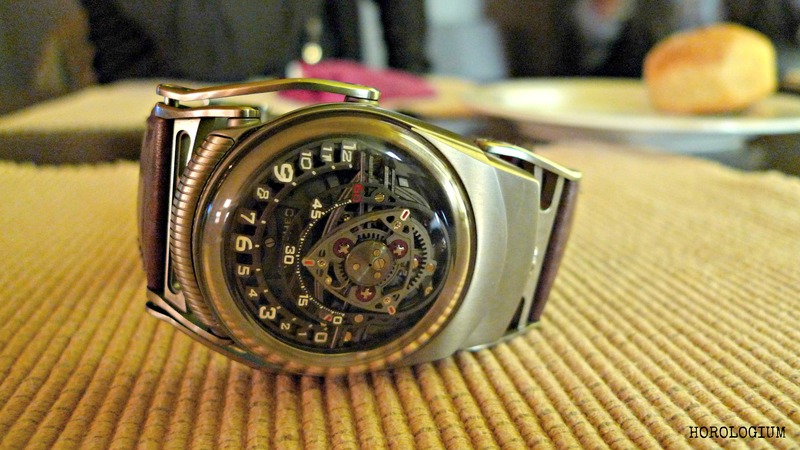 Earlier this year in the soothingly dark bowels of the 2013 SIHH Press Club I had an unexpected encounter with a Nitro in the wild on the wrist of Ian Skellern. It goes without saying that I had to take a couple of photos, though I have to apologise for their quality; the lighting wasn’t great, but if an occasion presents itself to take some quick snaps of this watch, you take it. For those who haven’t heard of it, the interesting centrepiece of the Nitro is how time is displayed. It looks like a car engine and, in fact, resembles something called a Wankel Engine created by then 17 year old Felix Wankel in 1919, which I shall allow the internet to explain to you better than I can. In the Nitro’s case, there are eccentric rotating Releaux triangles on the dial, the larger one points to the twelve hour markers and the smaller one to the minute markers, where the minutes are read via the red tips. There is a power reserve indicator on the back of the watch, and all of the marker indicators are luminous, including the aforementioned red tips. The case is made of Zirconium, which makes it really quite light, and measures 55mm x 44mm. 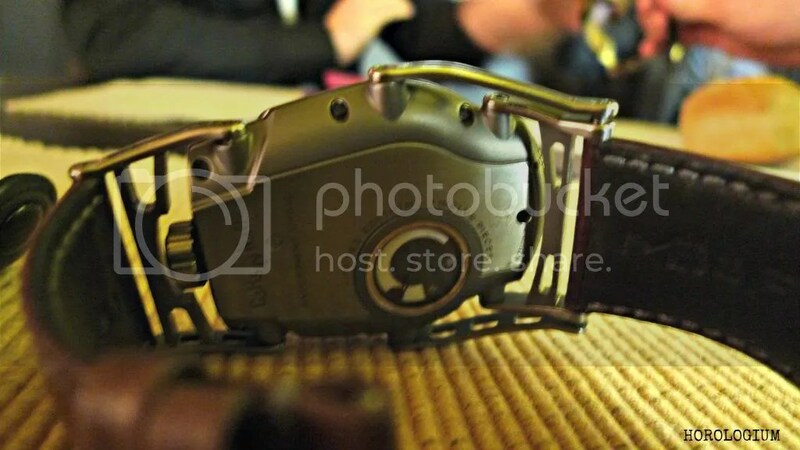 The crown is screw-down, and the watch is hand wound, with URWERK behind the movement. Despite the huge size of the watch, the lower lugs are articulated and the watch wears very comfortably, even on my wrist. There really is something to be said about articulated lugs – these ones are made out of aluminium. The watch is a limited edition of 12 pieces in Zirconium (almost all sold out) and there will be another twelve in black-coated Zirconium. The first Zirconium models are priced at 130,000 CHF and you can place an order at the C3H5N3O9 website. I asked Felix Baumgartner about this new ‘experimental brand’ last year, and if you want to know more about the two men behind this ‘Experiment’, Max Busser and Felix Baumgartner, click on the links to read my interviews with them. 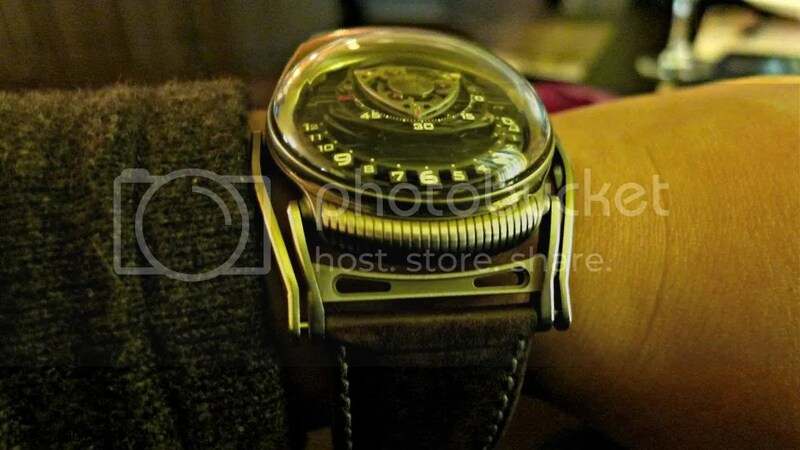 This is a deeply deeply cool watch, even if it is a tad too large for my wrist and my credit card. So very true :), I liked the C3H5N3O9 since I got the first glimpse of it. 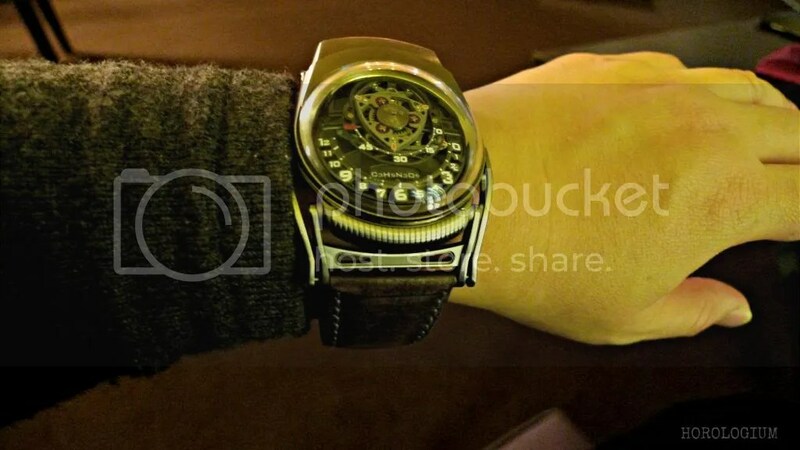 Needless to say I´m a MASSIVE fan of both MB&F and Urwerk as well. GREAT interviews.